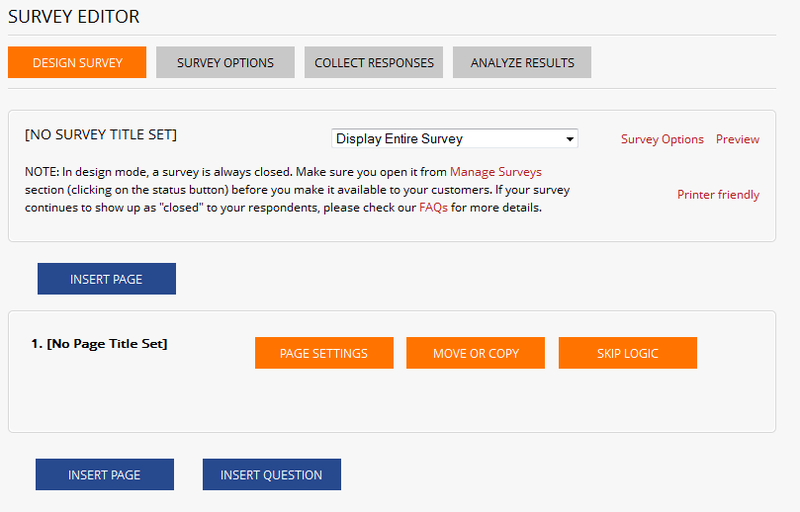 You should now be at the Survey Editor which you will use to create surveys. When you create a new survey from scratch, the survey editor will dispaly a blank survey that contains a single page and no questions. Let's start by pointing out a few things you will notice. The Survey Options button lets you set the survey title as well as specify all the various settings about the appearance, response restrictions and security of the survey. Page Logic button - lets you set conditions that will control the repondents path through the survey based on their answers to speicfied questions.